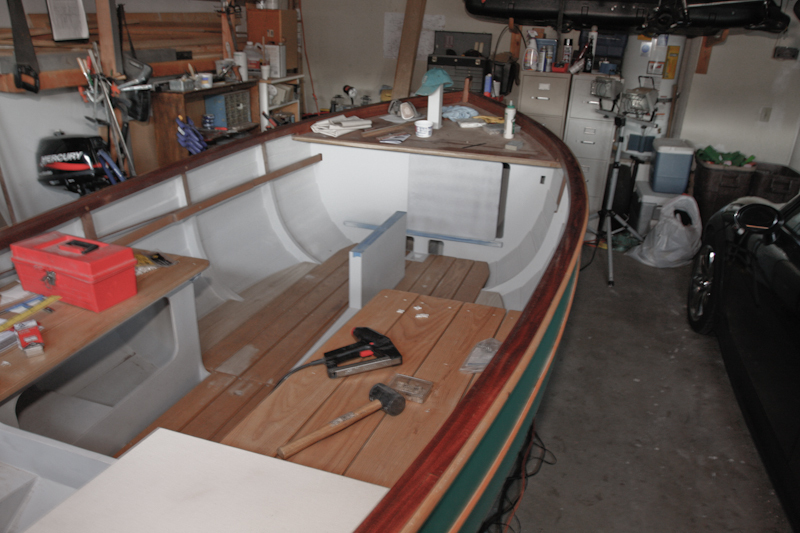 Beautiful boat and excellent pictures documenting your construction. Well Done! Hi Dave, thanks for the feedback. I appreciate hearing from you. Are you into a building project yourself at this time? 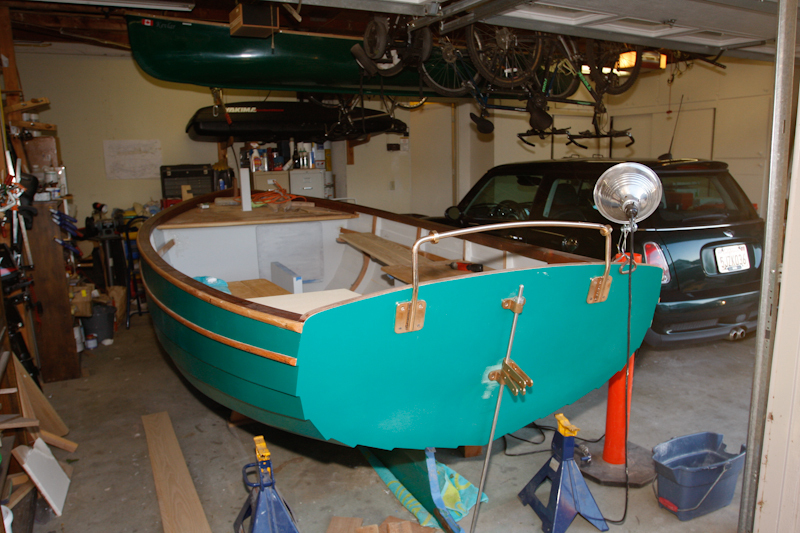 Building a boat is an wonderful project and while I have been doing the build now for a year and a half, I have loved every minute. Well maybe a few hundred hours of sanding hasn’t been as fun, I still have enjoyed the process. Thank you Leoncio. I really fell in love with Vivier’s designs too! The Ebihen 15 fit my needs perfectly. I was looking for a traditional look, with modern building techniques suitable for first time builder. Dry sailing conditions with sufficient freeboard and beam width, an installed motor option, and the right size to build and fit in my garage when finished. I looked back through the posts and you have mentioned and pictured the centerboard slot a couple of times, but I don’t recall anything about the centerboard itself. Is it metal and heavy or is it wood? 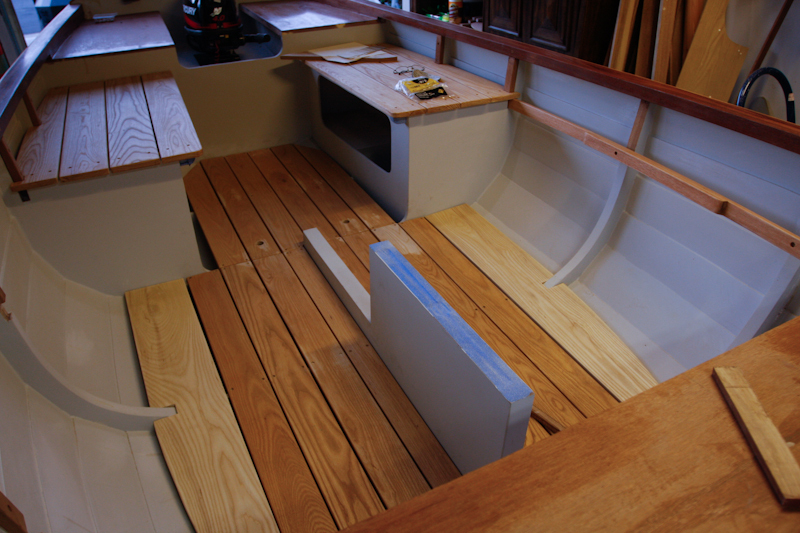 The centerboard is galvanized steel. Weight is approx 90 pounds. I had this cut last year and is waiting for me to install. Looks great. The plank lines look eye sweet. Good to see the big picture. 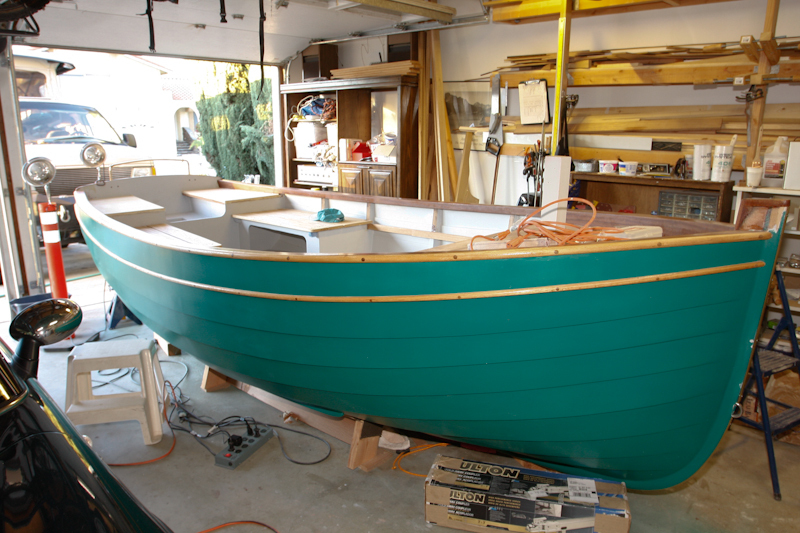 By the way she will fill much small once on the water. It is always amazing how that happens. Thank you Clint. I would have saved a month of cutting if your CNC kit was available a few months earlier.